European Forum Alpbach: In 2016, the next pension reform may be necessary in Austria. European Forum Alpbach: Ewald Nowotny, governor of the Austrian Central Bank (OeNB) thinks that banks will fight for deposits in future. In the last years, ECB had to prevent a collapse of the financial system several times. At the European Forum Alpbach, the Director of the Austrian Financial Market Authority (FMA) Kurt Pribil stresses the importance of a centralized banking supervision authority. On the occasion of the European Forum Alpbach 2012, Anna Diamantopoulou, Former European Commissioner for Employment and Social Affairs calls for a completion of the European project. At the Alpbach Economic Symposium 2012, the President of the EU-Commission José Manuel Barroso explained the “logics of integration”. In order to meet new challenges, the EU has to promote integration, Barroso says. At the Alpbach Economic Symposium 2012, Austria´s Federal Chancellor Werner Faymann underlines the “advantages of the EU”. Without the euro, Austria would face a dramatic recession, he warns. 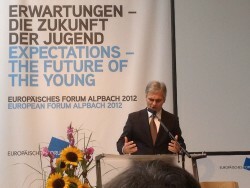 At the AlpbachE conomic Symposium 2012, Austria´s Federal Chancellor Werner Faymann underlines the “advantages of the EU”. Without the euro, Austria would face a dramatic recession, he warns. At the Alpbach Economic Symposium 2012, the President of the EU-Commission José Manuel Barroso explained the “logic of integration”. 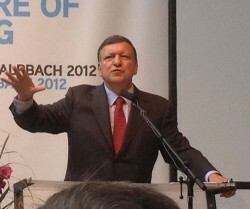 In order to meet new challenges, the EU has to promote integration, Barroso says. 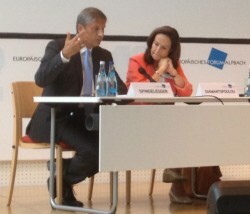 At the Alpbach Forum 2012, Austria´s Vice Chancellor Michael Spindelegger explains that Europe suffers from a lack of confidence and self-confidence. The European people expect a message from the EU. 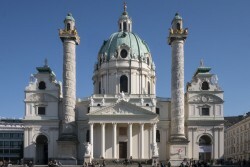 The Austrian Vice-Chancellor wants to promote a political union in Europe. However, this system should not be the same like in the U.S. 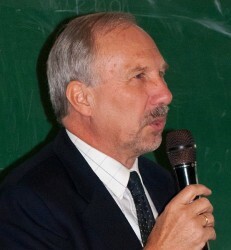 The former Austrian Federal Chancellor Franz Vranitzky criticizes the Austrian government sharply. 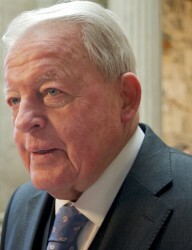 For him, the university sector is a “very bad example of inequality between the generations”. The place for more than 2,500 pioneers from all over the world as well as web, technology and mobile start-ups to network, present their innovations and exchange experiences. 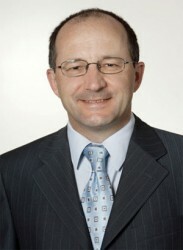 At the Alpbach Forum 2012, the Austrian economist Christian Keuschnigg explained the necessity of implementing reforms for the Austrian retirement plan. 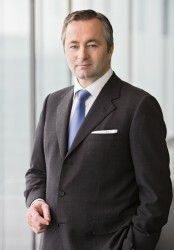 On the occasion of the Alpbach Forum 2012, Telekom Austria´s CEO Hannes Ametsreiter underlined the necessity of implementing reforms in Austria. 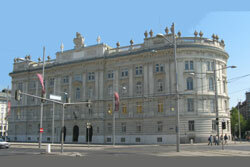 On October 4th and 5th 2012, the 1st European Headquarters Congress will take place in Vienna. From 24th to 27th September 2012, the II European Congress of Small and Medium – Size Enterprises will take place in Katowice, Poland. 50 discussion panels are planned including over 250 speakers with 3500 participants. 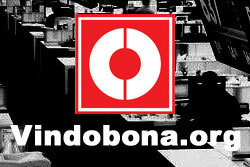 Vienna Stock Exchange Group invites CEE companies and politicians in October 2012. Top medical products “made in Austria” at MEDICAL FAIR ASIA and MEDICAL MANUFACTURING ASIA 2012 from September 12 2012 to September 14 2012 in Singapore. From September 25, 2012 - September 27, 2012, Technology “made in Austria” will be presented at the "Green Expo 2012” in Mexico City. Seven Austrian companies working in mechanical engineering are going to visit Tampere and Helsinki from September 19 to September 21 2012. 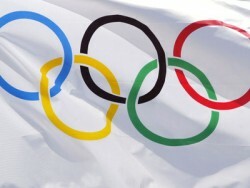 The London Olympics were responsible for prestigious and lucrative orders running into double-digit millions in the run-up to the games. The event takes place from 19th to 21st September 2012 in Leoben, Austria. Top decisionmakers will come together. The great success of the 2011 study tour has led the International Solid Waste Association (ISWA) in cooperation with UV&P to organise another "Waste-to-Energy" study tour in Austria this year. From Date: Saturday, September 1, 9:00 am to 2:00 pm, the Alpbach Closing Event “Crossing Borders - Expectations towards Europe” takes place. From Thursday, August 30, 2:00 pm to Friday, August 31, 5:45 pm the Alpbach Financial Market Symposium 2012 will take place. From Tuesday, August 28, 2:00 pm to Thursday, August 30, 12:15 pm, the Future of the Social Welfare State in Europe will be discussed at the Alpbach Economic Symposium 2012. Under the motto “Acceptance of Law in Rapid Decline?”, the Alpbach Legal Symposium 2012 will be held from Monday, August 27, 3:00 pm to Tuesday, August 28, 12:45 pm in the Congress Centrum Alpbach. From Sunday, August 26, 3:00 pm to Tuesday, August 28, 12:30 pm, the Alpbach Political Forum will be held in the Congress Centrum Alpbach. From Saturday, August 25, 9:00 a.m. to Sunday, August 26 1:45 p.m, the Alpbach Forum will deal with lobbying and networking in the EU. Farnborough International Airshow is the world's most iconic global aviation event and one of the most important exhibitions in the aerospace industry worldwide. The Alpbach Technology Forum as part of the European Forum Alpbach is the largest platform for a research- and technology-related debate in Austria. Strong presence of Austrian Companies at the biggest event for the global microelectronic industry. This year, the Alpbach Universities of Applied Sciences Forum will focus on “Lifestyles and social networks”. Austrian companies from the automotive sector present themsevels in Detroit on October 25th. From 22. October 2012 to 23. October 2012, Austrian Know-How in the fields of Forest machinery, renewable energy and biomass will be presented in Seoul. The Alpbach Perspectives 2012 will be held from Monday, August 20 to Wednesday, August 22 in the Congress Centrum Alpbach. From 14. November 2012 to 16. November 2012, Austrian automotive suppliers present themselves in Seoul. From 5. September 2012 to 6. September 2012, the Austrian consulting and engineering sector presents its knowledge and skills in Copenhagen. Austria Connect 2012 in Washington D.C.
From September 13, 2012 to September 15, 2012 the Austrian Trade Commissions will hold its conference in Washington D.C.
New York, 28 June 2012 - The Austrian Cultural Forum in New York is holding its first fund raising concert. Austrian companies will show their new innovations in San Francisco, California on July 10 – 13. 2nd Austria Connect Canada 2012 Conference: Intensive exchange of experiences and views in Toronto on Research and Development. 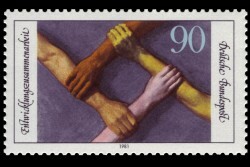 Under the motto “Child and Youth Health: The Future starts today”, the Alpbach Forum starts in August 2012. "Marketplace Austria" gives buyers from all over the world unique opportunity to meet Austrian suppliers and producers from the food and drinks sector and to find new business partners. 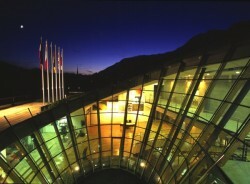 The Institute of the Regions of Europe (IRE) is holding the 8th conference of European Regions and Cities in Grafenegg. Vienna is still number one worldwide in cities hosting international congresses. The U.S. takes first in the country category.